When an avid gardener and seasoned quilt and stitchery designer combines her two passions, magic sprouts! 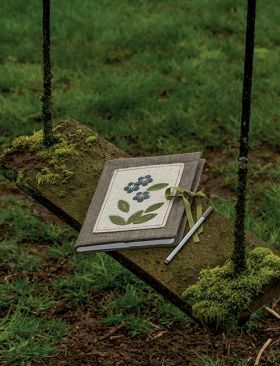 Using a mix of wool and cotton as her medium and flowers as her muse, Kathy Cardiff brings her blossoming backyard garden to life in projects that blend elegant beauty with a touch of primitive charm. 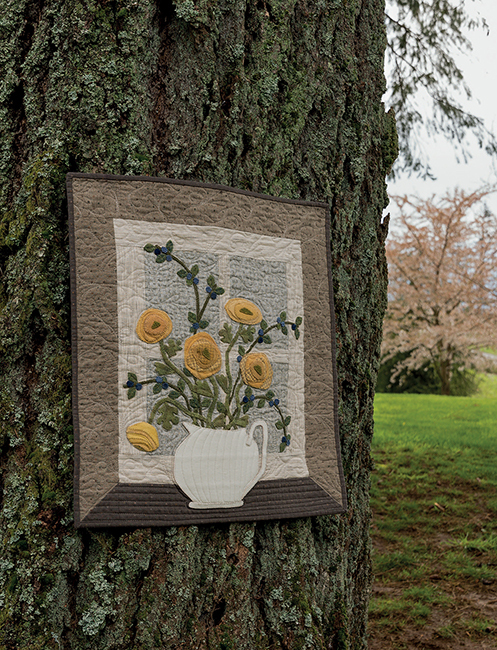 Projects from pillows and sewing notions to table toppers and wall quilts culminate in a stunning nine-block sampler quilt bursting with blooms. 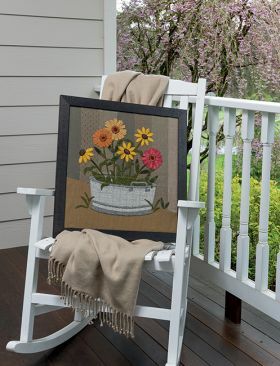 Add basic embroidery-stitch details to give each flower, leaf, and vine Kathy's special brand of cottage style. 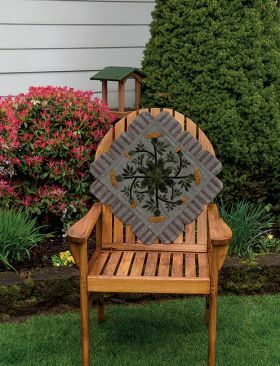 Full-sized pullout patterns included. What a wonderful book. The instructions are clear and the photography is lovely. There is a large range of projects from big to small. When I first received the book I had to make myself a cup of tea and sit down to look through the book right away. I just received a copy of this delightful book! It truly is beautiful. 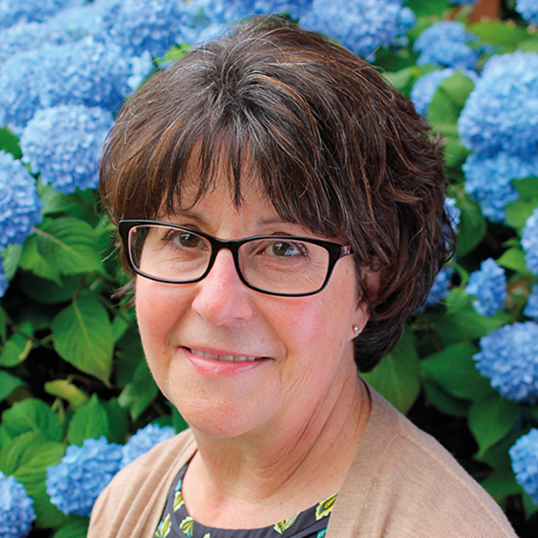 Kathy's attention to detail is evident in her projects and her detailed directions. 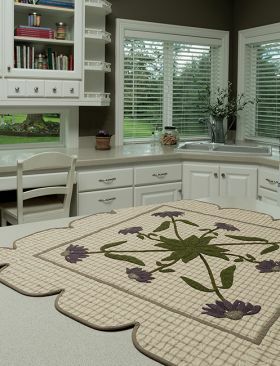 One can do a large project or a small one - she offers a great selection! A great addition to any quilters library. 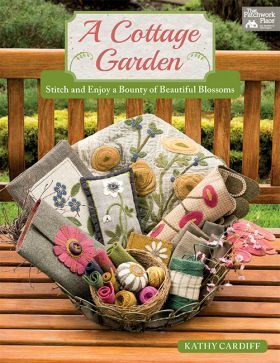 Combine cotton and wool fabrics, stitchery, quiltmaking and a love of gardening and you have this wonderful collection of projects by Kathy Cardiff. The masterpiece project is a stunning nine-block sampler of flowers in bloom. But there's also a good mix of smaller projects to make for yourself, your home and as gifts for family and friends. 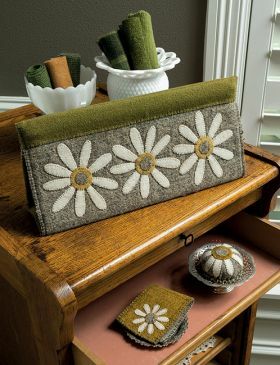 They include a clutch purse, cushions, wallhangings, framed pieces, sewing notions and a table runner. 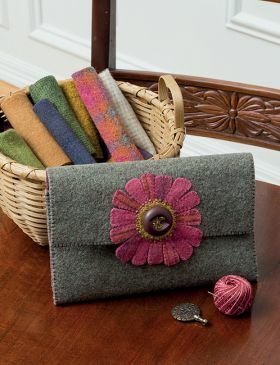 Kathy also includes advice and tips for working with wool. Enjoy! This book is a delight. 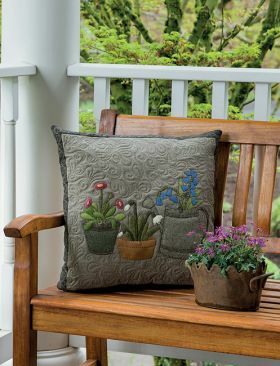 Kathy has combined her love of flowers with quilting and has produced a wonderful array of sewing notions, wall hangings, table mats and pillows. She completes the book with the really beautiful "Cottage Garden" quilt. These woolen appliques on either wool or cotton are drawn from the flowers in her garden. Kathy says, "Create something that reflects your personality and have fun with it." There is advice on working with wool and choosing colours. 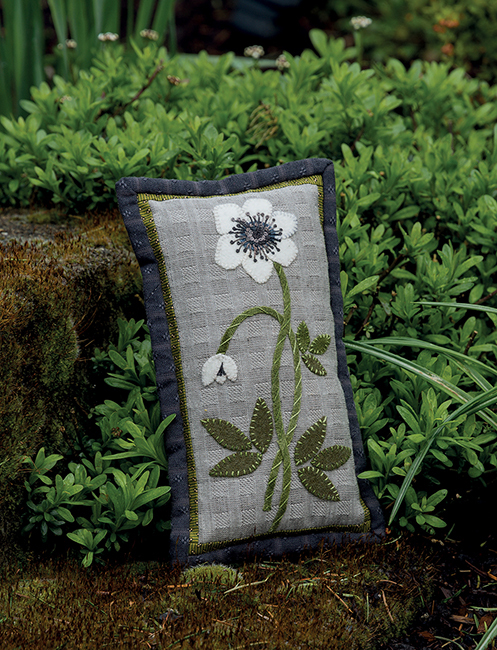 She believes that wool appliques on cotton or linen are the perfect combination. With some simple, but effective embroidery, your flowers will add wonderful richness to your projects. 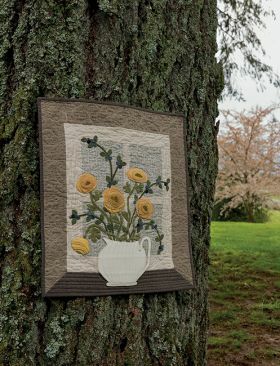 Wool can be bought in small quantities often and over-dyeing multiple textures such as plaids, herringbones, stripes or checks is a great way to create very interesting flowers and leaves. 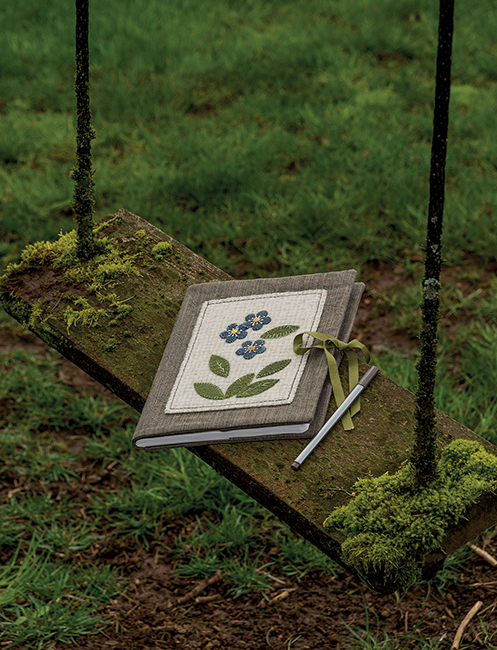 All the information you'll need to create these wool appliques is covered in this book. 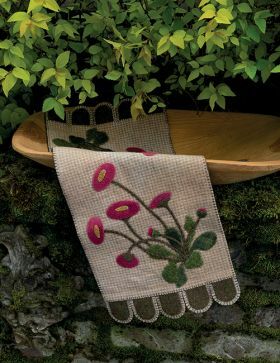 This is the most beautiful collection of appliques I have seen. 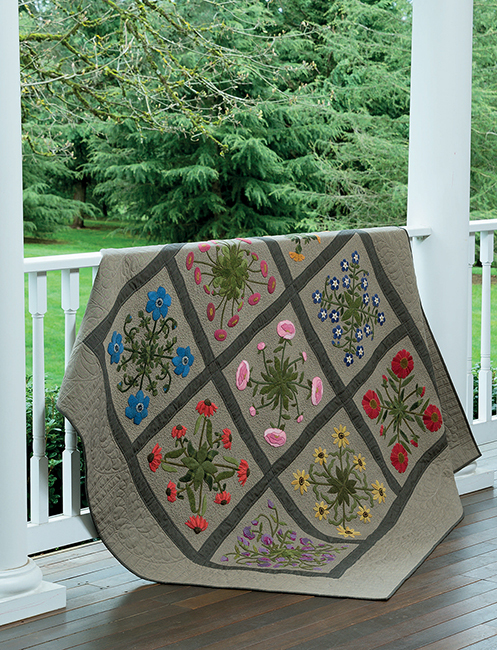 The creative force behind The Cottage at Cardiff Farms, Kathy Cardiff is a popular quilt designer perpetually inspired by her love of the garden.